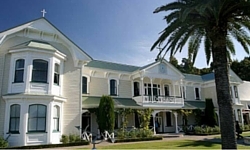 Our Napier motel is a great base for exploring the numerous Hawkes Bay wineries on offer. With more than 30 wineries in the area, the choice is huge. Our advice is to choose 3 or 4 to visit and make the most of your time there – there’ll always be another day. While travelling by car is of course an option, a lot of guests also borrow bikes from one of the local bike tour companies such as Bike About Tours to make the most of the day. 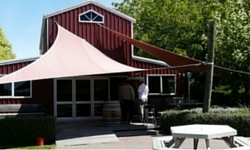 With so many wineries in the area this list isn’t at all exhaustive – instead we have focused on the 4 wineries that are a short trip from us that give you a great taste of what is on offer. We hope this list helps you to start plan your Hawke’s Bay winery tour. We’ll be updating this page with more wineries, and you can also find more information on the Hawkes Bay NZ tourism site. 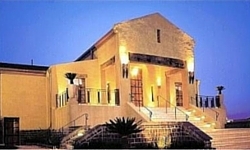 Colonial Lodge is located in Taradale, and we have some amazing wineries nearby. Just 2.5 km from Colonial Lodge. When it comes to Hawkes Bay wineries, the Mission is an institution. Established in 1851 by pioneering French Missionaries, Mission Estate is New Zealand’s oldest winery and the birthplace of New Zealand wine. The building is immaculate, the grounds and views are superb, and the wine is excellent. Just 1.6 km from Colonial Lodge. Church Road is a boutique winery that applies hands-on winemaking techniques to the very best of the Hawke’s Bay harvest. 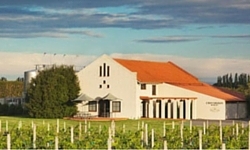 The winery is one of the oldest in Hawke’s Bay It was founded in 1897 and then totally renovated in 1989. The renovation has made the place look simply incredible – their restaurant and tasting room is worth going to just to wonder at the immaculate construction. Just 5.5 km from Colonial Lodge. Moana Park produce vegan wines, free of allergy inducing additives, hand-crafted from grapes grown in small estate-owned vineyards around Hawkes Bay. They have a hands-off approach in that they let the fruit display the characteristics of the season – every vintage is unique. Just 10 km from Colonial Lodge. Crossroads has brought wine lovers the very best of Hawke’s Bay small parcel wine-making for more than 20 years. The quality and craft of Crossroads wines continues to be recognised at home and abroad, with accolades including Best New Zealand Red Wine for Crossroads Winemakers Collection Syrah 2012 and NZ Wine Producer of the Year. Make sure to ask about their secret “Talisman” blend. Interested in more things to do in and around Hawke’s Bay? Check out our Hawkes Bay attractions page here. We hope this helps you get started planning your tour of the Hawkes Bay wineries – starting with the Napier wineries in and around Taradale. We’d love to host you at our Taradale motel during your stay. You can take a look at our rooms and our facilities, or book now for best rates.